Kristin has a Bachelor of Business Administration from Western Michigan University, where she double majored in marketing and organizational communication. Upon graduation, she decided to pursue a career in student affairs and earned her masters of arts in college student personnel from Bowling Green State University. She has worked in the Office of Greek Life at Vanderbilt since August 2002, serving as the Director of Greek Life for the last ten years. 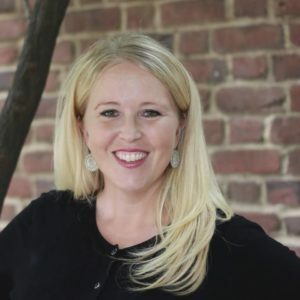 Outside of her work at Vanderbilt, Kristin serves on the Board of Directors for the Association of Fraternity/Sorority Advisors Foundation and in the Junior League of Nashville. Harold is a native of Dallas, TX and attended Texas A&M University – Commerce where he earned his Bachelor of Science in Psychology. While at TAMUC, Harold served as the Secretary for the National Pan-Hellenic Council and later President. Harold is a graduate of Louisiana State University’s Higher Education Administration program where he obtained his Masters of Arts. During his graduate tenure, he held a graduate assistantship in the LSU Olinde Career Center. In his spare time, Harold worked with the LSU Black Male Leadership Initiative within the Office of Multicultural Affairs and LSU Greek Life. 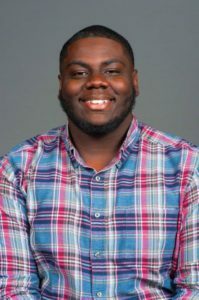 Harold currently works with the Vanderbilt NPHC & Culturallly Based Greek Letter Organizations and is a member of the National Association of Student Personnel Administrators (NASPA). Alison grew up in Cincinnati, Ohio and graduated from Miami University where she served as a leader in her chapter, Zeta Tau Alpha Fraternity and on the Panhellenic Executive Board. After graduating from Miami, Alison served as a Traveling Leadership Consultant for Zeta Tau Alpha. 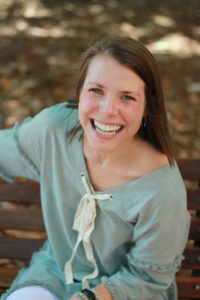 While working towards her Masters in College Student Affairs Administration from the University of Georgia, Alison was a graduate assistant in the UGA Greek Life Office, where she served as the primary advisor to the Multicultural Greek Council. 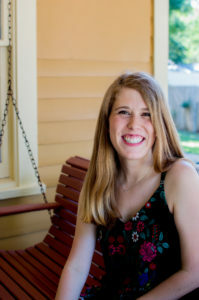 After graduating from UGA, she moved to Indianapolis, IN to work for Zeta Tau Alpha Fraternity’s International Office in harm reduction and prevention education. Alison currently serves as the primary advisor to the Vanderbilt Interfraternity Council. Valerie Lorusso is the Administrative Assistant in the Office of Greek Life and enjoys working and engaging with students. Valerie is a graduate of Columbia College in Chicago. 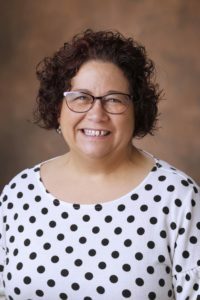 After working in radio and publishing Valerie came to Vanderbilt from Northern Illinois University in DeKalb, Illinois, where she worked for 13 years in Outreach and the Division of Student Affairs. Valerie lives with her husband, Joe, and their Huskie, Loki, in White Bluff, TN. Val relishes spending time with her two grown daughters as well as movies, classic rock and ‘80s music, and loves the World Series Champion Chicago Cubs. Candace is a second-year graduate student from the small town of Palmyra, VA pursuing her M.Ed. in Higher Education Administration. Candace graduated from the University of Virginia in 2017 with a double major in Government and Religious Studies, focusing on Hinduism and Buddhism. 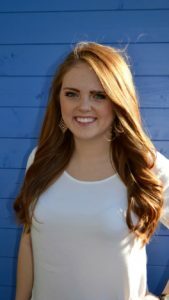 After becoming a member of Kappa Delta Sorority, Candace became a leader in both her chapter and in the Panhellenic Community by serving on their equivalent, the Inter-Sorority Council, as the Public Relations Chair and later as the Vice President of Administration. 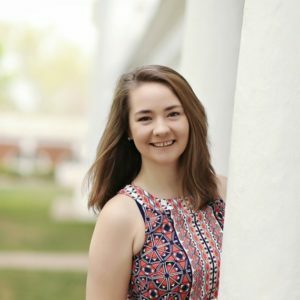 While at the University of Virginia, Candace also devoted her time to their Resident Staff Program, serving as a Resident Advisor to first year students and as the first Vice Chair for Training and Development. Taylor is a first-year graduate student from Jacksonville, FL pursuing her M.Ed. in Higher Education Administration. Taylor attended Florida State University where she received her Bachelors degree through a double major in Media Communications and Sport Management. While at Florida State, she was devoted much of her time to Panhellenic community as a member of Delta Zeta sorority and through serving as a leader within the Panhellenic Recruitment Counselor program. Outside of Greek life, she worked in marketing and promotions for Florida State Athletics. Carrie is a first-year graduate student pursuing her M.Ed. in Human Development Counseling and originally from Winter Park, Florida. Carrie graduated from Stetson University with her Bachelor of Science in Psychology in December 2017. During her undergraduate career, Carrie became a member and leader of Pi Beta Phi Fraternity for Women, serving as the Vice President of Philanthropy and New Member Coordinator. In addition to being actively involved in Greek Life, she also worked with new student orientation and the admissions team. Carrie cannot wait to serve the Greek community at Vanderbilt and get to know all of you!